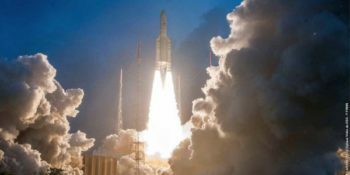 Chennai (5 Min Read) : India’s heaviest and next generation communication satellite with high throughput GSAT-11 was put into orbit by Ariane-5 rocket of Arianespace from French Guiana on Wednesday, the Indian space agency and Arianespace said. “GSAT-11 will boost the broadband connectivity to rural and inaccessible Gram Panchayats in the country coming under the Bharat Net Project, which is part of Digital India Programme,” ISRO Chairman K. Sivan was quoted as saying in a statement issued on Wednesday. “Today’s successful mission has boosted the confidence of the entire team,” Sivan added. After the GSAT-11 was launched into a Geosynchronous Transfer Orbit (GTO), ISRO’s Master Control Facility at Hassan took over the satellite’s control to raise the orbit to a circular Geostationary Orbit, ISRO said. It was a dual launch for Arianespace as its heavy lift Ariane 5 rocket also put into orbit Korea’s GEO-KOMPSAT-2A satellite. “I want to express my deepest gratitude to two very special partners since the beginning of their space ambitions: ISRO and KARI (Korea Aerospace Research Institute,” said Arianespace CEO Stephane Israel in post-launch comments from the Kourou Spaceport. Israel noted that GSAT-11 was the 22nd ISRO satellite orbited by Arianespace and Ariane-series launchers, tracing the relationship back to India’s APPLE small experimental communications spacecraft, which had a liftoff mass of 670-kg. and was lofted in 1981 by an Ariane 1 version. Arianespace has one more mission scheduled before year-end, using the Soyuz medium-lift member of its launcher family to orbit the CSO-1 spacecraft for France’s DGA (Direction generale de l’armement) defence procurement agency and the French CNES space agency, the space agency said. 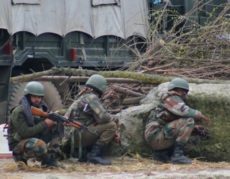 In April, ISRO had recalled GSAT-11 from Arianespace’s rocket port in French Guiana for further tests, to be on the safe side. “We are bringing back the GSAT-11 satellite to carry out some tests to be doubly sure of its performance orbiting in the space. There is nothing more to it,” K. Sivan, Chairman ISRO had told IANS then. The GSAT-11 was planned to be launched mid May. The satellite had reached Arianespace’s rocket port in March.